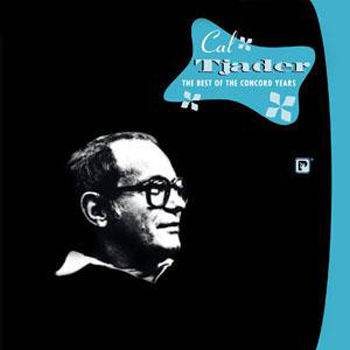 These recordings have captured the vibraphone artistry of Cal Tjader in what was to become the last years of his life. He was only signed to Concord in 1979, just six years before he passed away. These recordings come from sessions that led to recordings between 1980 and 1984. They are certainly memorable recordings not only because the vibraphonist is at the height of his powers – his playing is redolent of liquid fire that crackles and burns steadily in the momentous improvised swing that creates and then rides the rhythmic rush of music buoyant, and conga-infused, as well as in the hypnotic, riveting dalliances of the Cuban bolero where long silences punctuate echoes of radiantly beautiful single-note phrases and lines. This is a mature Cal Tjader, whose playing is almost minimilist, at times reminiscent of an early influence – Milt Jackson, but always brimful of sad, Tjader-isms: notes that seem to fall off his vibraphone like so many tears, especially poignant on “Don’t Look Back” (Disc One) that features the legendary Hank Jones on piano . The disc also contains two gorgeous tracks with the sultry-voiced grandeur of Carmen McRae: “Evil Ways” and Consuelo Velasquez and Sunny Skylar’s “Bésame Mucho”. But perhaps best of all are the two songs by pianist Mark Levine: “Serengeti” and “Linda Chicana” – the former becoming a classic after numerous performances including this one and another by Mr Levine when he led a band of his own and recorded it on his eponymous solo record. Disc Two begins with a mesmerising, and rhythmically shape-shifting and maddening version of “Swing Low” and also features a magnificent fluttering version of Ray Bryant’s famous song “Cuban Fantasy”. But the celebrated repertoire doesn’t end there. Immediately following is Cal Tjader’s iconic transformation of Dizzy Gillespie and Chano Pozo’s “Guachi Guaro” (a completely nonsensical term in itself) into what is often considered the spicier version of the song that Mr Tjader called “Soul Sauce” (first heard on Soul Sauce in 1964 and featuring Willie Bobo who uttered the now-famous combination of the call-outs “Salsa ahi na má … sabor, sabor!”). There is also a sublime version of Stevie Wonder’s “Don’t You Worry ‘Bout a Thing” by Carmen McRae backed by and Mr Tjader’s crisp vibraphone. Also included here are two more songs by Mark Levine as well as others by equally accomplished writers. The two-disc package is brimful with virtuoso performances by flutist Roger Glenn, saxophonists Gary Foster, Scott Robinson, Mundell Lowe and percussionists Ramón Banda and Poncho Sánchez among other members Mr Tjader’s fine ensemble that remained with him until the end of his career. Overall this is radiantly beautiful music here getting – once again – the kind of attention it deserves yet again.